Cherrylicious! 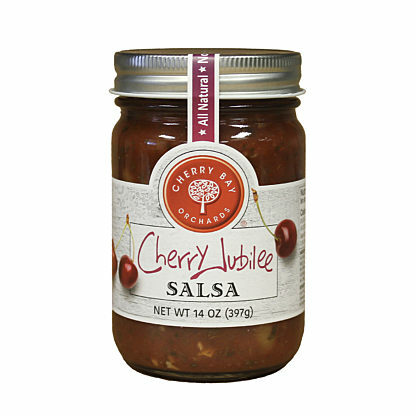 Introducing Cherry Salsa, Northern Michigan style! Our growers have selected three of their favorite varieties of cherries and blended them with just the perfect mix of sweet, tart and heat. Select from our wonderful assortment of Spicy Cherry, Mesquite Cherry and our signature Cherry Jubilee. Each of these salsas are free of any artificial additives, colors and preservatives. Three more ways for you to enjoy the fruits of our growers' labor.